Birthplace of presidents and one America’s traditional industrial heartlands, the Midwestern state of Illinois has often been proclaimed as a kind of microcosm of the US itself. Our pick of the best places to stay in Illinois offer a range for all tastes and budgets from superb value to uber chic, top notch luxury. With its extraordinary range of settings ranging from the urban chic of the Chicago metropolis, to the rust belt relics of America’s manufacturing heyday, Illinois is also largely rural, part of the great Midwest bread basket where the fields roll into infinity. Over three centuries its wide open spaces, farms and factories have drawn millions of migrants from different parts of Europe, making Illinois is a fascinating ethnic patchwork with much of the pioneer character still preserved. Enjoy the stunning array of natural and manmade parks with everything from waterfalls to Japanese gardens - it's perfect for a spot of hiking or having a tranquil time away from it all. The state also has some excellent breweries where visitors can enjoy a taste and a tour of various local specialities - a perfect way to get the authentic Illinois experience! 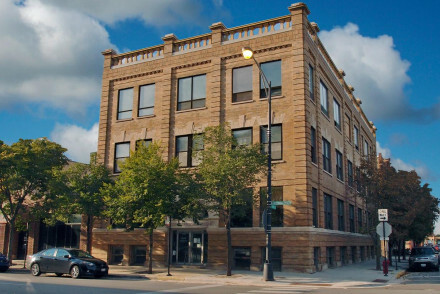 Alternatively, for a more educational visit to Illinois, take a trip to one of the numerous museums encompassing all sorts of different exhibits and things to see - there's really no shortage of places for visitors of all interests. Although, Chicago apart, not on the main beaten tracks of American tourism, this state has it all. The Hotel Guru’s choice of the best places to stay in Illinois reflect the extraordinary range of experiences that lie in wait for the adventurous traveller. If you're on a budget and happy to share with others you don't know yet, then book one of The Freehand's shared Quad Rooms. These chic spaces start from just $25 per person per night and you're right in the centre of Chicago. Hotel Palomar is ideal if you want to be close to Chicago's best bits. Here you'll be within easy reach of Navy Pier, Lake Michigan and all the shopping streets and galleries. Thompson Chicago also boasts a great situation. 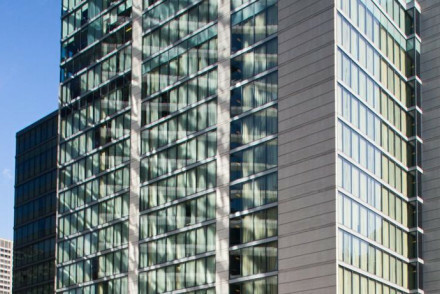 It's has lakeside views and is perfectly placed for the Magnificent Mile. Hotel Lincoln is on the north side of Chicago opposite Lincoln Park. The newly renovated hotel has rooms that are mostly lake facing with local art works and all facilities. This fun-loving hotel houses the farm-to-fork Perennial Virant restaurant and a rooftop bar for stunning views. Great spot to explore. 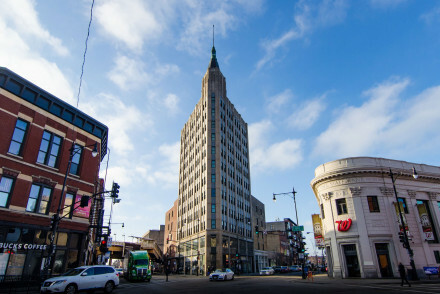 The Robey is situated in Chicago's Wicker Park. Set in the art-deco former Northwest Tower building it provides boutique and upmarket accommodation featuring plenty of neutral tones. Café Robey serves up French-American fusion cuisine. Enjoy cocktails on the rooftop lounge! A top-notch stay. 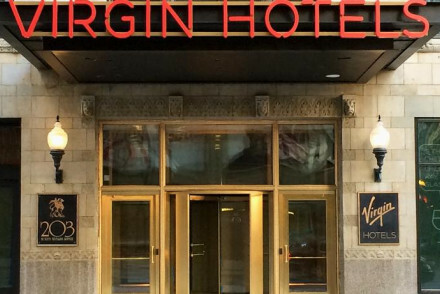 Virgin Hotel is perfect for the modern traveller or business getaway in Downtown Chicago. Two-chamber rooms with all the mod-cons are contemporary and luxurious. With five restaurants on site there is much choice, as well as the spa and fitness centre. Location is perfect for theatre, shopping and food lovers. 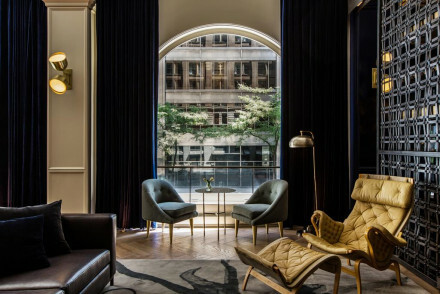 Chicago Athletic Association was a Gentleman's club in the early 1800s and now opens its Venetian Gothic doors to business travellers, leisure seekers and city slickers. There are large, retro rooms boasting Millennium Park views. Cherry Circle Room catches the essence of its former dining purpose. Remember the bar up on Cindy's Roof Top Terrace. 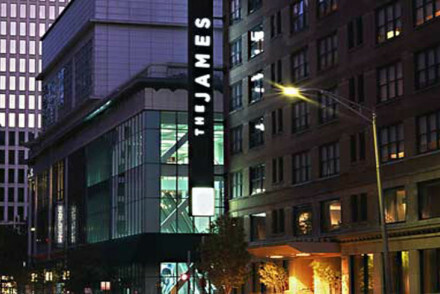 The James is a flagship chic hotel one block away from Miracle Mile is well finished and a swanky affair in a prime location. Rooms are spacious and plush with spectacular views. 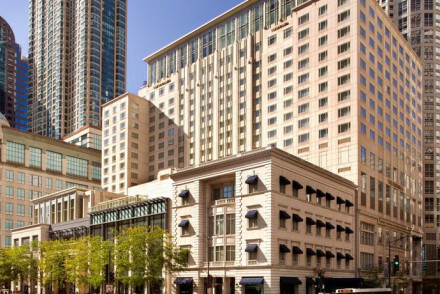 Between David Burke's Primehouse steak house and the range of spa treatments it is a fantastic city break spot. Acme Hotel Company is a hip hotel with boutique-appeal and sophisticated rooms overlooking the skyscrapers of down-town Chicago. Rooms are sleek and monochrome with splashes of colour and kitted out in gadgetry galore. The Berkshire Room bar is a trendy spot for young Chicagoans to unwind with a craft cocktail. 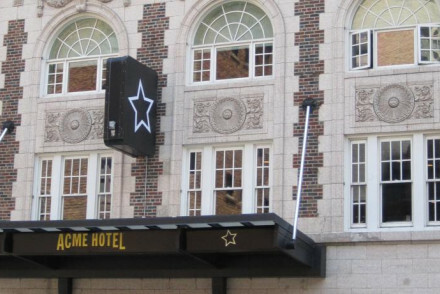 Public Chicago - part of the Gold Coast neighbourhood, this personal, luxurious and lively hotel caters to all guests' needs while offering prime location in Chicago. Rooms are plush down to the cotton linen count. The Pump Room bar is popular with all and award winning chef Jean-Georges Vongerichten is worth a try. You can't go wrong with the Four Seasons - beautifully furnished rooms and suites and fabulous facilities. The Langham overlooks the Chicago river and jostles with the other skyscrapers for the best view. There's a huge indoor pool, pampering spa and various dining options. Come here for understated elegance and distinctly British style. 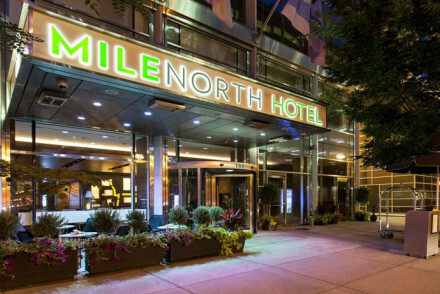 Milenorth, this boutique, lively hotel on the Magnificent Mile and 5 minutes from Navy Pier is luxury and location in one. Rooms are contemporary modern and airy. The rooftop houses a popular bar and restaurant enjoyed by locals alike. Great spot for a city break with restaurants and shops all around. The Peninsula Chicago exudes dignified grandeur. Rooms feature touches of high-class elegance such as Bernaudaud china, soaking tubs in bathrooms and specially commissioned art. Impeccable views of glittering downtown Chicago from most rooms and suites. Pool, gym, spa, three award-winning restaurants. 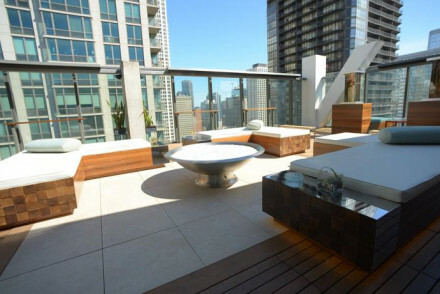 Dana Hotel & Spa - in a prime spot this boutique hotel boasts breathtaking Chicago views from the Vertigo Sky Lounge. Modern, spacious rooms offer mini bar and in-room spa treatments. Enjoy the onsite gym and spa, the global cuisine restaurant and popular bar. A great place for all the family to explore a vibrant city. If you'd prefer a self-catering option this holiday - don't hesitate to visit our online partner Booking.com for a diverse selection of properties to suit holidays of all types. Fly to Chicago O'Hare International Airport located 26.7km (16.6 miles) from Chicago with a wide selection of flights both domestically and Internationally, including to Europe and the Middle East. Amtrak has services all across Illinois with trains running within the state along with further afield. Best time to visit - the summer from June to August provides warm weather for exploring the outdoors and plenty of festivals meaning there's lots to see and do. Browse through our pick of the best places to stay in Illinois. 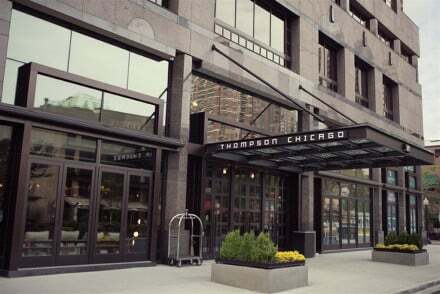 Trendy hostel and hotel offering chic but affordable accommodations in exciting downtown Chicago. Popular and busy bar serves craft cocktails and light meals. Rooms are hip with a boutique appeal, high-quality furniture in dark woods, walls decorated with crafts and an effortlessly cool vibe. 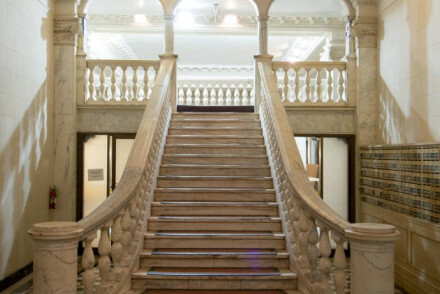 Great walks - Every Saturday morning, the hotel arranges for pay-what-you-like walking tours. Kayaking - Explore Chicago from an unusual angle on a kayaking water tour. 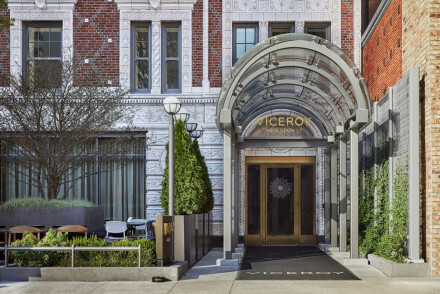 Situated in Chicago's Wicker Park, The Robey is set in the art-deco former Northwest Tower building and provides boutique, upmarket accommodation. Expect fresh and contemporary design. Café Robey serves up French-American fusion cuisine and cocktails are served on the rooftop lounge. Superb! Hip hotel with boutique-appeal and sophisticated rooms overlooking the skyscrapers of down-town Chicago. Rooms are sleek and monochrome with splashes of colour and kitted out in gadgetry galore. The Berkshire Room bar is a trendy spot for young Chicagoans to unwind with a craft cocktail. Sights nearby - Willis Tower and John Hancock Observatory to name a few! 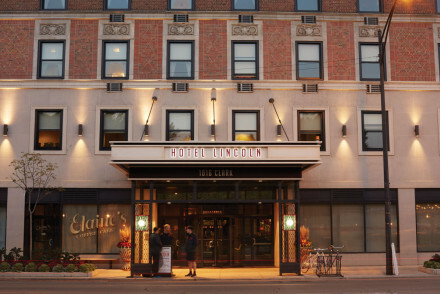 On the north side of Chicago opposite Lincoln Park rests the newly renovated Hotel Lincoln. Rooms are mostly lake facing with local art works and all facilities. This fun-loving hotel houses the farm-to-fork Perennial Virant restaurant and a rooftop bar for stunning views. Great spot to explore. Great walks - Go for a stroll through Lincoln Park which the hotel overlooks. Sights nearby - Wrigley Field is nearby. A glamorous great Gatsby style hotel, in a beautifully refurbished 1920's building in downtown Chicago. The comfortable and spacious rooms have been carefully crafted by local designers. The popular on site restaurant draws crowds, as do the cocktails at the vintage bar. An elegant spot. 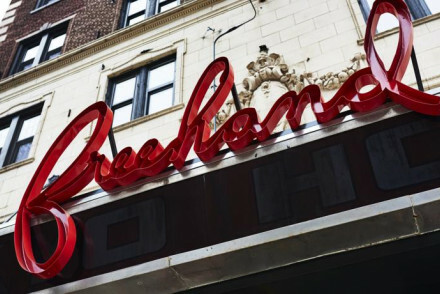 Part of the Gold Coast neighborhood, this personal, luxurious and lively hotel caters to all guests' needs while offering prime location in Chicago. Rooms are plush down to the cotton linen count. The Pump Room bar is popular with all and award winning chef Jean-Georges Vongerichten is worth a try. Sights nearby - Willis Tower, John Hancock Centre and the Art Institute of Chicago are all famous in their own right and worth a visit. Great walks - Walks on the Lake Front Trail or through Chicago Park District. Views - Higher rooms offering great view of the Chicago cityscape. Gentleman's club in the early 1800s now opens its Venetian Gothic doors to business travellers, leisure seekers and city slickers. Large, retro rooms boasting Millennium Park views. Cherry Circle Room catches the essence of its former dining purpose. Remember the bar up on Cindy's Roof Top Terrace. Sights nearby - Millennium Park is in close proximity to the hotel. 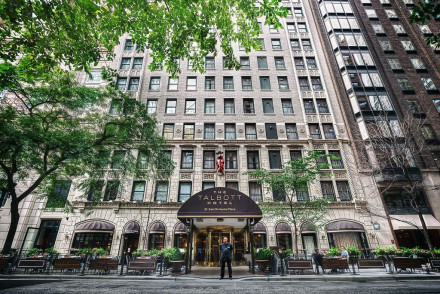 This boutique, lively hotel on the Magnificent Mile and 5 minutes from Navy Pier is luxury and location in one. Rooms are contemporary modern and airy. The rooftop houses a popular bar and restaurant enjoyed by locals alike. Great spot for a city break with restaurants and shops all around. Sights nearby - Willis Tower and the John Hanncock Centre are worth a visit for spectacular views of Chicago. 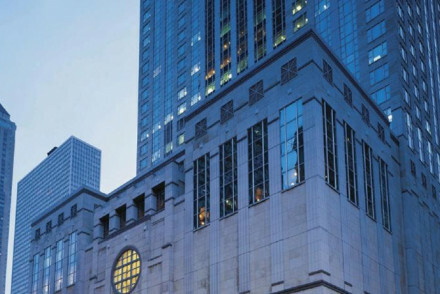 An iconic and elegant building in the Loop's financial corridor. Named for its grey marble exterior, the rooms mirror this toned down grandeur, with the odd splash of colour and quirky design. With a range of bars and restaurants, an excellent gym and spa they have all the bases covered. A magnificent hybrid of old and new, a perfectly preserved 1920's facade attached to a glistening glass tower. Inside you will find the same paradoxes, the rooms are spectacular and so are the views from their floor to ceiling windows. The rooftop bar draws a crowd, as does The Somerset downstairs. A boutique B&B offering hip design in the trendy West Loop. Featuring a heaving library and author-themed rooms with books to match. A home-cooked breakfast feast is provided for each guest and there's a round-the-clock pantry. A charming and central base to explore the city from. This boutique hotel in the River North district offers an indoor pool, in-room spa treatments, restaurant and popular bar. Rooms are modern with designer bathroom features. Business and fitness centres on site. Proximity to Navy Pier, Michigan Lake and Chicago's landmarks and galleries. 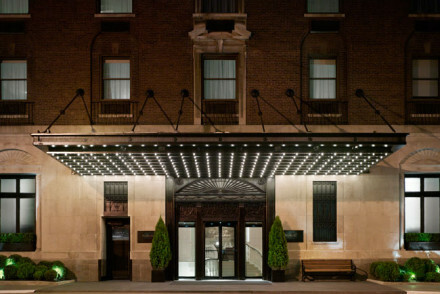 Among the Chicago Mansions, this lively and trendy hotel offers prime location for Magnificent Mile and lakeside views. Contemporary rooms with noteworthy comfortable beds and waterfall showers, offering room service as well as Nico Osteria restaurant for fine Italian cuisine and wines. Lively - Salone Nico is a favourite of Chicago bussiness types on an evening. Sights nearby - Buckingham Fountain is a must see, as well as 'The Bean'. Great walks - Grant Park and Lincoln Park are both worth a visit. Views - Either of Lake Michigan or the Chicago skyline. Perfect for the modern traveller or business getaway in Downtown Chicago. Two-chamber rooms with all the mod-cons are contemporary and luxurious. With five restaurants on site there is much choice, as well as the spa and fitness centre. Location is perfect for theatre, shopping and food lovers. Sights nearby - The Willis Tower or John Hanncock Centre - both offer great views of the city. Lively - Bar and entertainment readily avaliable. Great walks - North Beach, Lincoln Park and along Michigan Lake all offer great locations for a stroll in the city. Sights nearby - Museum of Contemporary Art and Navy Pier are all within walking distance. Local markets - The famous American Girl store is close by. The Peninsula exudes dignified grandeur. Rooms feature touches of high-class elegance such as Bernaudaud china, soaking tubs in bathrooms and specially commissioned art. Impeccable views of glittering downtown Chicago from most rooms and suites. Pool, gym, spa, three award-winning restaurants. Spa - The Peninsula Spa is inspired by Ayurvedic and Asian philosophies, wih massages and therapy treatments to soothe any ailment. Sights nearby - The Museum of Contemporary Art, Driehaus Museum and beloved Chicago Water Tower are all a 5 minute stroll from the Peninsula. Lively area - Located in the Near North area of Downtown Chicago, along the electric Magnificent Mile. Swimming Pool - Indoor pool with views over downtown Chicago's skyline. 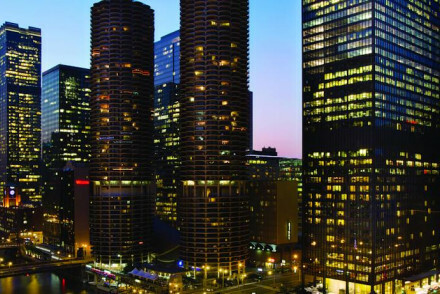 Overlooking the Chicago river and surrounded by down-town Chi-town skyscrapers, this hotel is a glamorous choice for the discerning traveller. Rooms feature a cream canvas, dark polished woods and royal purple throws. Gym, spa, pool. Exclusive private members' club with city views. Restaurant, bar. Sights nearby - Located right next to the ostentatious and famous Trump Tower and less than a mile from the Museum of Contemporary Art. All rooms and suites are stylishly furnished with French furniture, floral motifs, art adorning the walls, and shades of plum, champagne, rose and dove grey. Beautiful views over Chicago or Lake Michigan. Spectacular indoor pool under a domed skylight. Gym, full-service spa, jacuzzi, restaurant. Sights nearby - In downtown Chicago there is a multitude of architectural splendour, museums and art galleries in the near vicinity. Views - Panoramic views over Chicago and Lake Michigan. Spa - Body treatments, facial, massages and sauna.